I am a terrible blogger. My last post was way back in August!? Not cool, Ashleen. Not cool. My apologies for the lack of consistency over the last few months. What can I say… life happens. Anyways, let’s not dwell on my slacker ways and get right to the recipe. 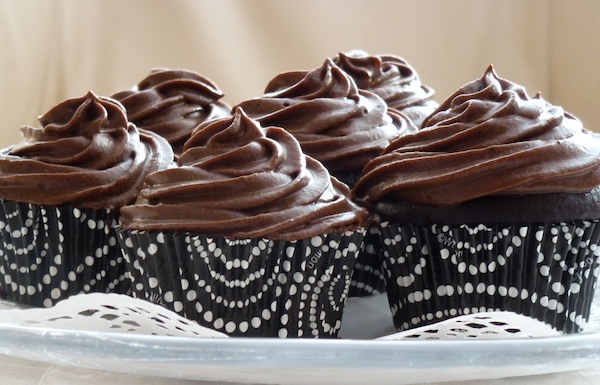 These cupcakes are both delicious and healthy (well, a much healthier version of a typical chocolate cupcake, anyway). I love chocolate and I love avocados so why not put the two together? And since I was on a little bit of an avocado-kick I decided to avocado-fy the frosting as well. I added a little bit of cayenne, cinnamon, and ginger, all of which complement the chocolate flavour really well. The spice is very subtle but gives the cupcakes a more complex flavour. 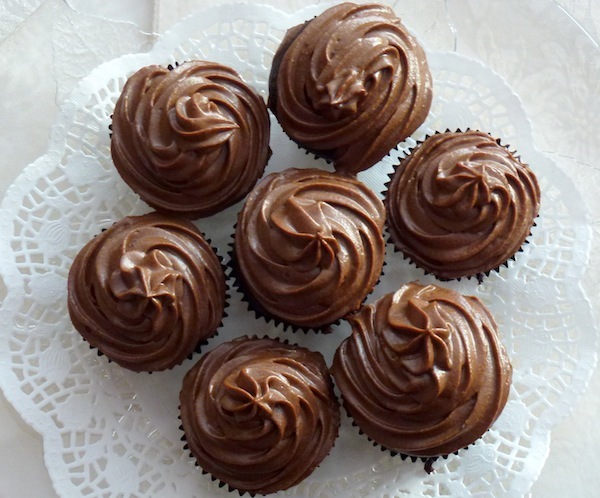 Click here for the avocado chocolate ganache recipe used to frost these bad boys. Preheat oven to 350 F (175 C) and line cupcake tins with cupcake papers. Add the oil, vanilla, and spices to the avocado mixture and beat until completely mixed. Add the sugar to the mixture and beat until uniform. In a separate bowl sift together the flour, baking powder, baking soda, and salt. Set aside. Boil the water and whisk together with cocoa powder until no lumps remain. Add in soy milk and vinegar. Add the liquids and dry ingredients to the avocado/sugar mixture and mix until just combined. Allow to cool completely before frosting. For these ones I used a chocolate avocado ganache frosting.